When it comes to water heater repair, the expert technicians at Quality Heating & Air Conditioning have you covered. Without hot water, simple daily tasks become difficult, if not impossible. We have become accustomed to taking a shower, washing clothes or washing dishes with the turn of a faucet. A malfunctioning hot water heater can represent an emergency situation and our daily lives can become a nightmare without this simple convenience. No hot water or temperature inconsistency? A heating element may be a simple fix. Noises coming from your unit? The sediment in your tank may have come into contact with the heating element and your tank may need a flush. Leaking? It may be time for a new unit. Your hot water heater has a life expectancy of 15 to 20 years and it may have just run the course of its operational life. A call to Quality Heating & Air Conditioning will get your life back on track. Our water heater professionals will be out to diagnose and repair or replace your hot water heater immediately. Repairs are usually simple and on site. If you require a replacement, we offer all available brands, including new high-efficiency water heaters. According to the EPA, your hot water heater represents up to 25% of the energy usage in your home. A new, high efficiency water heater often saves a large amount on your energy bills, making it a very smart investment. Depending on the brand you choose, we offer same day installation. And your new water heater will come with a standard 6 or 8 year warranty to give you peace of mind. As with all other major heating and cooling devices in your home, regular maintenance is often the best prevention to a malfunctioning unit and water heater repair. At Quality Heating & Air Conditioning, we offer seasonal maintenance checks to ensure that your water heater is functioning property at peak capacity and not at risk for a breakdown. From a convenience standpoint, your hot water heater is too important to go without. A malfunctioning water heater can not only be an inconvenience, but pose a threat of flooding your home. Call us day or night for an emergency water heater repair. We stock all parts and most brands of water heater tanks in-house. Don’t be caught with an emergency repair or flood. Call the technicians at Quality Heating & Air Conditioning to set up a regular maintenance schedule to lessen the possibility of damage to your home or being without hot water at the most inconvenient times. 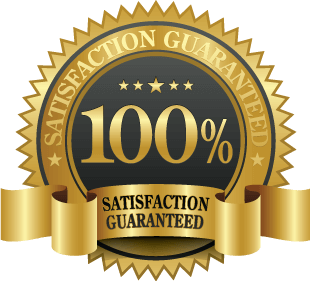 For all your water heater repair, service and installation needs, call Quality Heating & Air Conditioning to schedule an appointment with one of our expert technicians. 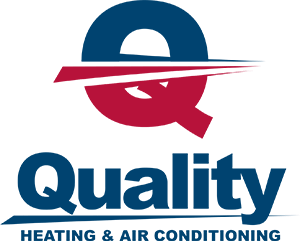 Whether you require emergency service, maintenance or installation of a new energy efficient unit, Quality Heating & Air Conditioning wants to be your water heater superheroes.